Two Lawrence men were charged Wednesday in the trafficking of a large quantity of heroin after being arrested by Massachusetts State Police in Methuen. 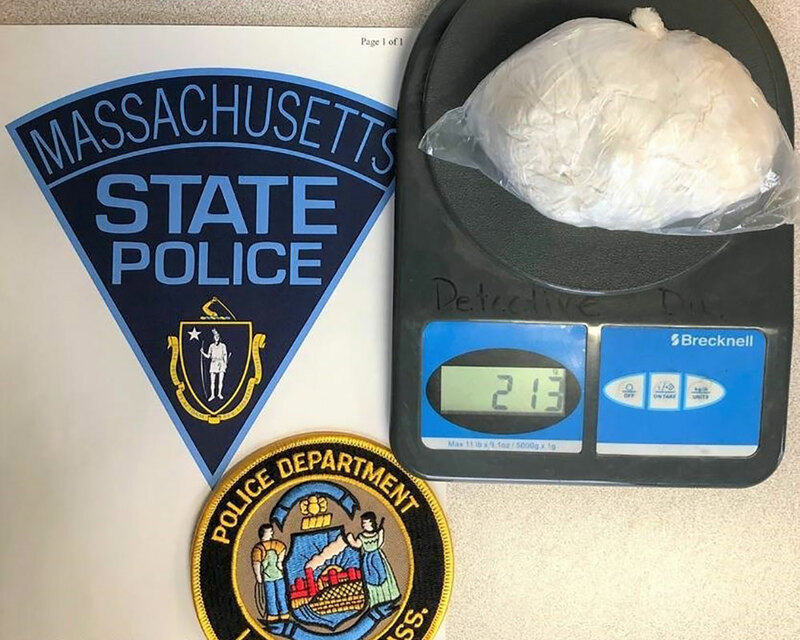 State Troopers assigned to the Massachusetts State Police Gang Unit and North Shore Gang Task Force, working with Lawrence and Methuen Police, seized 213 grams of suspected heroin with a street value of at least several thousand dollars. Troopers and detectives arrested 21-year-old Luis Lopez at about 4 p.m., Wednesday, after he left the men’s room of a Burger King on Haverhill Street in Methuen. A short time later, they saw a green van at a gas station at Haverhill Street and Burnham Road, and recognized it as the van that dropped off Lopez at the restaurant. Police arrested the driver, 23-year-old Tirson Batista, for participating in the drug trafficking operation. Besides charges of trafficking more than 200 grams of heroin, the men were charged with conspiracy to violate narcotics laws.